There is no denying the impact of social media and the increasing part of every minute spent online devoted to it. Just look at what Chris Hadfield accomplished over five months on the International Space Station for space, research and astronauts using social media. Most people’s perspectives regarding social media are personal, as the early adopters of social media were B2C companies; but as social media matures, B2B usage is increasing. Where ArCompany differentiates itself is in the questions we ask. How is your company organized? How does communication flow from the frontline to the executive team and vice versa? Who are members of your partner ecosystem? What is the company’s perspective on performance? What kind of change has the company experienced in the past? What is working and what needs work? The key thing to point out here is that the questions do not pertain to social media. We want to know more about the company, and these questions help us better understand it and its current circumstance. We eventually get around to asking questions about their use and perspectives on social media, but it is critical to cover the fundamentals about the company up front as part of our discovery phase. Why Do We Take Such an Approach? We do it because the adoption of social media does not mean ignoring or forgetting the fundamentals of your business. I was in a meeting recently with a real estate company that was considering adding social media to their marketing and lead generation efforts. After taking them through our discovery questions, it became apparent that they were ignoring some very basic elements of online marketing that would only undermine their social media efforts. I told them that they could still look at social media to support their marketing and lead generation efforts, but it was critical to get their house in order when it came to a website that was optimized for search, was responsive in design for mobile viewing, and that sufficient resources were put in place. In this case, social media could help them, but it could not be their salvation if they were failing to execute online marketing activities. If they are bad at marketing, social media will show everyone that they are bad or will only make them seem worse. The preceding example focused on marketing and lead generation, but ArCompany believes that every area within a company can benefit from social media. We are not suggesting that everyone needs to be tweeting or have access to Facebook in order for the company to be successful. What we are suggesting is that valuable insights can be captured and key stakeholders can be engaged with social media — insights that could inform product management or service design, and key stakeholders that may become advocates for the company and its products or services. The depth and breadth of such an approach can seem daunting at first, which is why incorporating the fundamentals of strategic planning should help. After all, this not about likes, followers or re-tweets. This is about corporate objectives, and unless your social media strategy is aligned with them, there is no point in going to all the trouble. You will just end up frustrated and disappointed. If we agree that it is about corporate objectives, then perhaps you will agree that one of the best ways to approach objectives is by incorporating the Balanced Scorecard. The Scorecard takes a holistic, or balanced, view of the company by looking at four key areas: financial, customer, internal and people, which is well aligned with our belief that every area within a company can benefit from social media. Often, companies have units, departments, siloes or teams operating independently, or worse, at cross-purposes. Going through the exercise of developing a balanced scorecard helps a company get everyone on the same page with respect to its mission, vision, values, current situation and near-term and long-term objectives. 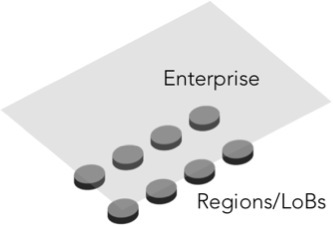 Without that alignment, people within enterprises operate in siloes with little to no coordination with other areas, perpetuate inconsistent messages, have poor or non-existent communication with other parts of the business, experience varying degrees of success, and run the risk of potential conflict. How many of you have seen or experienced that before? Let’s take a closer look at each element of a balanced scorecard and tie it back to corporate objectives and social media. This component of the scorecard looks at such things as revenue, earnings and cash-flow. The question of the ROI of social media is a common one, and one that can easily be addressed. You can prove the ROI of social media by designing it into your efforts. For example, you can divert customer service issues to social channels and leverage the community to support one another, like Vodafone or HP has done with their tech support communities, lowering the cost of technical support in the process. You can drive incremental revenue through lead generation as a result of your content marketing, social listening and community engagement. Designing a closed loop that shows outbound efforts in social media drove inbound actions by customers makes it easy to connect the dots between your social media strategy and money in the bank. This component of the scorecard looks at such things as customer value, satisfaction and loyalty. One of the key benefits of social media is the real-time access to customers and their feelings about your brand, products and services. Increasingly, customers take to social media to sing a company’s praises or to vent their own frustrations. Over time, a company can gauge how they are affecting customer sentiment and, in more near-term situations, they can track how many customer issues arise, how quickly they were resolved, and get the added bonus of turning customers into advocates. It is amazing to watch a disgruntled customer turn into an evangelist when a company deals with their issue and leaves them with a satisfactory outcome. If only more companies took this idea to heart instead of responding slowly or not responding at all to issues raised in social media. All a company has to do is listen and they will quickly get a sense of what is being said about them, by whom, to whom, and what is being said about, by and to their competitors. Surely such insights have value. This component of the scorecard looks at such things as internal processes and performance, productivity and quality. It may seem like a stretch, but social media can even help with this aspect of the scorecard. 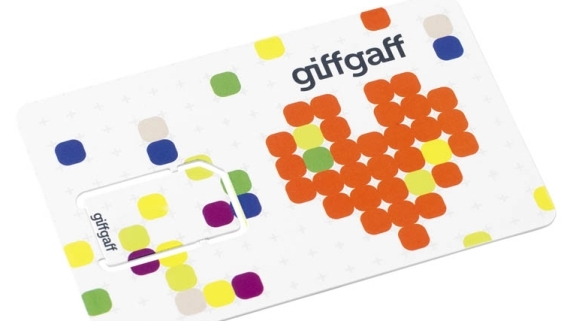 Let’s look at giffgaff, a company whose approach to social media enabled them to scale as a mobile services provider because they mobilized their customers to provide support to one another and to refer new customers. Giffgaff rewards customers with money or credits for supporting one another within their community and for referring new customers. This approach enables them to scale as a service provider without having to add staff unnecessarily. Plus, savings and rewards get passed onto customers, which also ties back to the satisfaction and loyalty previously mentioned. In fact, the customer is the common thread throughout. This component of the scorecard looks at such things as staff morale, performance, knowledge, engagement and turnover. This is one area where myths exist that needs to be dispelled. In the early days, many employers thought it best to ban access to social media because it was easier than facing it head on and developing a social media policy and an approach to governance. Nowadays, the cat is out of the bag. You can ban access at work, but just think about how many people have mobile devices and can access social media off the corporate network. Companies are better off embracing social media and figuring out a way to provide access for employees while still maintaining productivity and adhering to the corporate code of conduct. In fact, access to social media has the potential to make employees more productive, skilled, knowledgeable and engaged. Many companies felt that people would waste time and their performance would become an issue if given access to social media. Companies have always had ways to deal with poor performance. It is called the performance review — or, more broadly, management. Years ago, companies debated over who should have access to email; now we take it for granted. Social media will likely be taken for granted too, in time. Furthermore, without strong reasoning it is difficult to tell employees that they can’t have access to the very same social media channels that the company is using for recruiting and marketing. As mentioned, social media is increasingly being used for recruitment. Potential employees can learn about the company-hiring procedures and culture and hear what it is like to work there from current employees. Companies can position themselves as an employer of choice and show that they are staying current. Furthermore, platforms like LinkedIn and the social graphs of employees can be leveraged for recruiting passive candidates, friends and colleagues. One of the key benefits of social media for employees is knowledge, and it doesn’t get mentioned enough. Access to YouTube is often banned because of policy or bandwidth issues, but there is so much free content from the likes of the Harvard Business Review on topics of strategy, leadership, change management and HR that people can view for free from the desk or laptop if they simply had permission. How does the cost of access to free, job-relevant content compare to the limited amount of money per head that companies allocate annually for professional development? Practically every day there are tweet-chats on job-related topics like HR, performance, change management and project management. Employees get to learn, collaborate and connect, and this drives engagement — another benefit of social media. If you type the words “how to” into the search field of YouTube, you get over 200 million results. This is indicative of the power of the #2 search engine in the world. If you want to know how to do something, you can see it here. For example, Microsoft has a channel for Microsoft Office Tutorials and many software companies post their tutorials, past-recorded webinars and explainer videos here as resources for customers and users. All of this is available for free to employees at the desk or on their laptop, provided they have access. Again, just think how much companies spend on training for such applications as Microsoft Office. The Balanced Scorecard helps a company create a unifying vision for employees and a holistic approach to corporate objectives. A company can shift from being siloed and somewhat dysfunctional to collaborative and better-performing because communication is flowing properly, efforts are coordinated and strategies are tied together. With that operating model in place, social media adds a complementary layer that supports each facet of the scorecard, and every part of the organization benefits. I’m so glad to see the people part of this. @DannyBrown and I were discussing at lunch today – or maybe I was ranting to him – about how I still don’t see enough focus on this key group by organizations or consultants. It is the people who create the user experience. They are also the loudest voice in your community (real or virtual) when it comes to telling the organization’s story. Management needs to engage, encourage and empower their people if it wants the organization to succeed. I really like what you’re doing here and with your approach to building the business. Best of luck. RickRice Thank you for your kind words, Rick. Much appreciated. I keep thinking about the chapter in the book where they’re focusing on ALL of the customer touch points and I realize that most of Soc. Media has had it all wrong from the beginning BECAUSE they’ve built their social world as just ONE MORE SILO. How do you influence anyone with simply one channel -that’s not how humans work. AmyMccTobin RickRice Hmmm, that sounds way too smart for me – sure you weren’t talking to my pet llama? AmyMccTobin Danny Brown Silos are good for storing grain and missiles. After that there is no reason for them to exist. Social media ninjas who try to portray it as a thing unto itself are simply keeping it from its potential. Sadly, silos are one of the biggest obstacles to building a social enterprise. Hopefully, social media can be something of catalyst for collaboration. That may be optimistic or naive but one can hope. ajenkins I don’t think you’re being naive on this at all. Silos are usually reinforced by either compensation issues or perceived ‘power / turf’ issues. If management can be shown that silos exist and are holding the company back there are tools to break them down. This is really one of those Issues where you get what you pay for. If you reward people for sharing and penalize them for hoarding silos can come down pretty quickly. Just talking about it doesn’t work in established organizations. It takes too long to change that culture with persuasion. Culture usually can’t be changed just by words and leading by example. Getting rid of bad practices requires real changes. The other option (or sometimes only approach) for making this happen in established organizations is firing people who insist on having turf wars. That can create chaos but, frankly, if you’ve got managers who won’t get with the program then you need to get new managers. As consultants advocating the elimination of silos we need demonstrative proof of the damage they do to organizational success. The more we build that case the better we can fight this problem. RickRice Thanks Rick. Building on your compensation theme, compensation dictates behaviour. I have been in in situations where management want staff to collaborate but their compensation structure doesn’t support it. Sad but true. 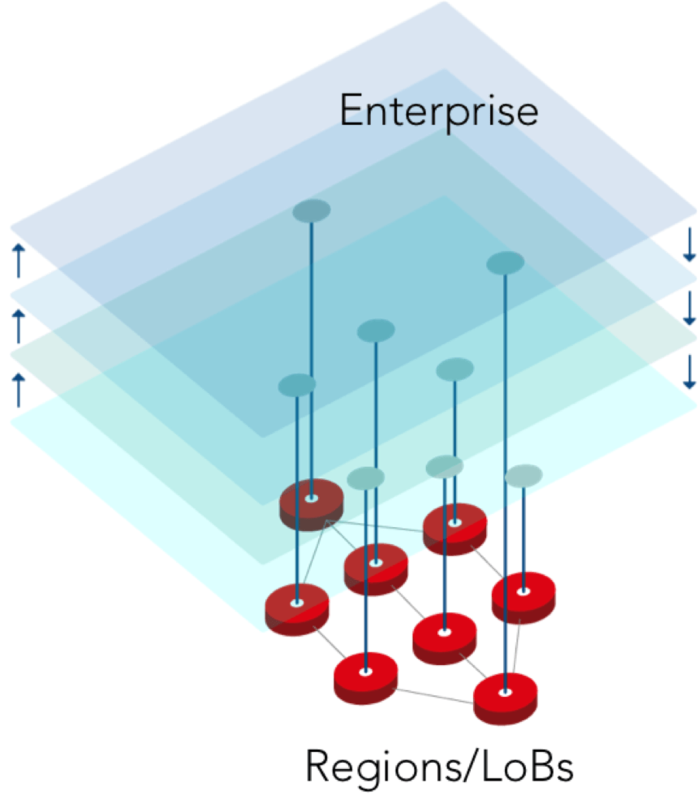 Ideally, if objectives and compensation can be aligned across silos or matrixed enterprises then change might come more easily. I am not sure what your thoughts are regarding the whole idea of “burning platforms” as catalysts for change. The disruption that social media has caused to some businesses has already been a wakeup call to some. Some will adopt proactively while others will do so reactively out of fear or the smell of smoke from their burning platform.